Known to Manufacturer, Importer and Trader a broad collection of Promotional Tent and Umbrella, Gaurav Trader was set up in the year 2001. The product range offered by us is inclusive of Outdoor Umbrellas, Camping Tents, Pagodas Tent, Digital Printed Umbrellas, Three Fold Umbrellas, Wooden Umbrellas and much more. 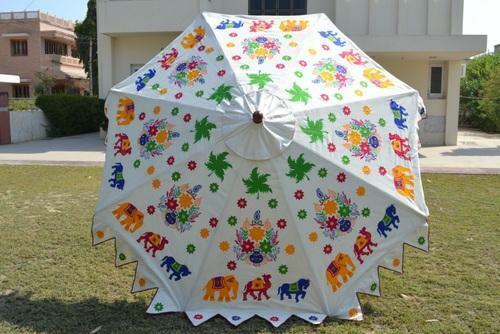 Appreciated from our customers for its rich attributes such as attractive design, fine finish, durability and aesthetic pattern, the umbrellas offered by us are designed from quality assured materials. The offered range of umbrellas is available with us in eye-catching colour patterns, designs, shapes and sizes. Backed with a team of skilled professionals, we have been able to cater to the precise needs of our valuable customers. Some of our valuable customers are Tata Teleservices Limited (Tata Indicom), Reliance Industries Limited and K Raheja Private Limited. Our employees are selected through rigorous selection procedures and are trained at regular intervals to enhance and polish their skills in the most efficient manner. By working in close coordination with each other, our employees ensure a hassle-free workplace.